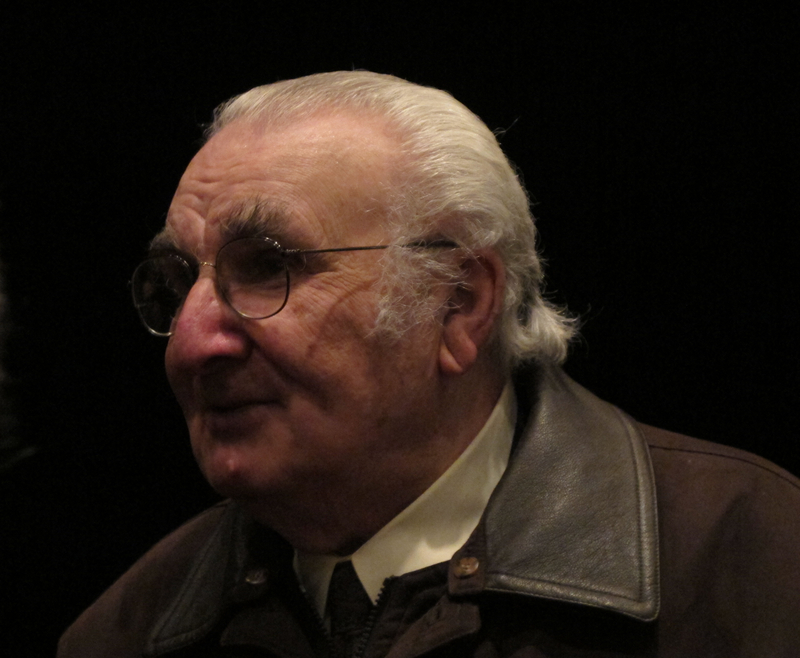 Mario Davidovsky is best known for his work in the electronic medium, with his series of works for live instruments and electronic sound called Synchronisms serving as exemplary models for the genre. But Mario, who was my mentor during my days as a Columbia University doctoral student, has mostly worked in instrumental music for a number of years. There were samples of instrumental, vocal, and electronic works heard at Friday’s all-Davidovsky concert at Miller Theater in New York. The performances by the International Contemporary Ensemble were very strong, although the dry acoustic of Miller robbed their playing of some of its vibrancy. The ninth and twelfth Synchronisms were heard, played respectively by violinist David Bowlin and clarinetist Joshua Eubin. There were three purely instrumental works from the ’90s as well. All this music continues to dazzle, not just for the scintillating rapid gestures, but for the intensely lyrical lines that constitute the heart of the piece – “heart” both in the sense of telling affect, and of inner structure. I think one reason Davidovsky’s instrumental music is less widely known than it should be is that his music resists ready labeling. Although he is usually bracketed with so-called “uptown” composers such as Babbitt, Wuorinen, and Martino, his music stands a bit apart from those masters because it is not really serial music – twelve-tone (fully chromatic), yes, but rather more non-systematic than genuinely serial works. (Or should I say “even more non-systematic”?) Good luck trying to trace rows, etc. in Mario’s music. * There are games with hexachords (go through the piano Synchronism), and strategies involving the deployment of registers. But Mario, though he admires the surfaces of various kinds of serial music, relies on different forms of rigor than someone more closely aligned with serial techniques. It is a rigor that springs more exclusively from the play of forms, the interaction of motifs, from the fantastical patterns woven from vivid, passionate gestures. The most memorable performance of the night was given by soprano Tony Arnold, who lent her clear, pure sound to Mario’s settings of Spanish folk poetry, Romancero. The final song in the set is about King David lamenting Absalom. Here the accompaniment is very spare, with hushed cantillation from the violin. Tony’s singing was utterly heartbreaking, all the more powerful for the restraint of Mario’s setting. Interviews with Mario here and here. Three works can be heard at Art of the States. Picture above taken at last Friday’s concert. *It is interesting that Joseph Straus omits Mario from his collection of short analyses of music by 37 twelve-tone composers in his recent book on the history of twelve-tone music in America; I would say he is the most important composer left out. Of course, Straus couldn’t cover everyone of importance, and if anyone can figure out the technical aspects of Mario’s music, Joseph Straus can. But still, I wonder if the non-systematic nature of the music played a role in Straus’s choice.